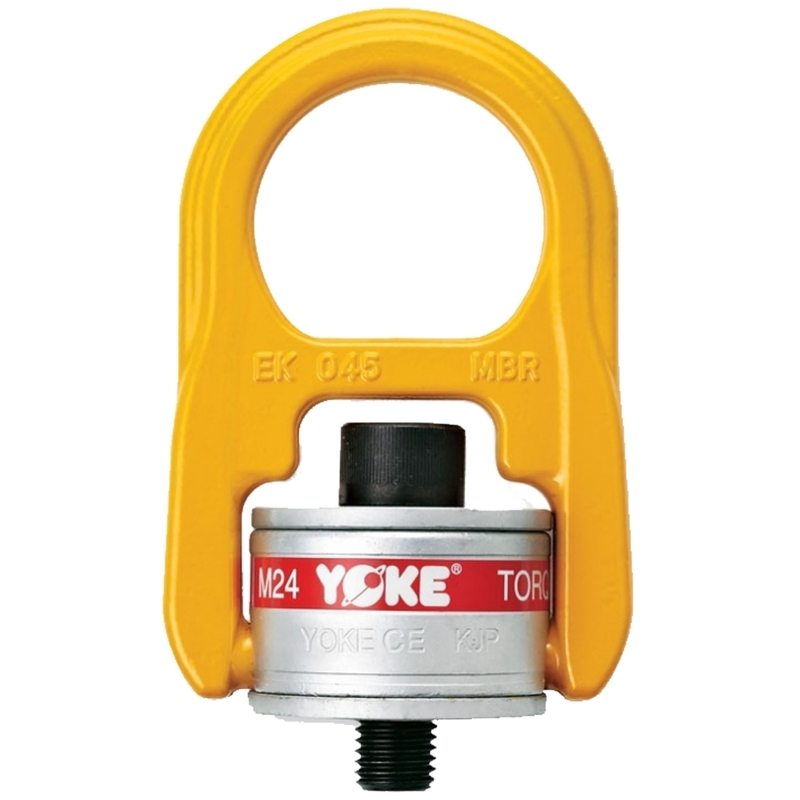 All Yoke Heavy Duty Hoist Rings meet or exceed all the requirements of ASME B30.26. Each forged parts and cap screw with batch code links to Test Certificate sheet. 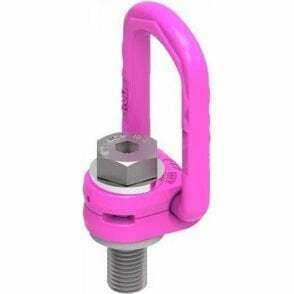 Hoist Ring Bail are designed by forged alloy steel, quenched and tempered. Ball Bearing performs to fully swivel underload. Bolts are metric thread (ASME / ANSI B18.3.1M), grade 12.9 alloy socket head screw per Din. Rated at 100% at 90 angle.